The jumble of online marketing services, acronyms, platforms, and ad networks can be intimidating to even seasoned marketing professionals. However, those acronyms/platforms/networks represent opportunities. Let Obility lead you through the process of choosing the right strategy and solution for your marketing priorities. It goes without saying that the internet has become more complex as a marketing channel. As such, internet marketing services have also multiplied and become more complex. It used to be that you could throw up a website and bid on a couple keywords in AdWords to be bleeding edge. That age has passed. Breaking these down further, there are many more specific goals contained within each. The idea here is to prove that the marketing spend is providing value in excess of whatever you are spending on the campaign. This is the most desirable and valuable of internet marketing goals. However, it isn’t as clear cut as it seems. How do you define the “return”? Customer Lifetime Value – The total a new customer will spend in their long-term engagement with the company. Increasing traffic increases the number of people you drive to your website or marketing materials. This approach focuses on the top of the sales funnel. The most successful companies in the world understand the value of branding and awareness. These campaigns are measured by metrics outside of the sales funnel. Once you have determined a goal to measure, select the correct marketing solution to accomplish that goal. Banner ads are better for increasing awareness, and search advertising is better for increasing conversions and sales. SEO can be used for both branding and lead generation. Outside of advertising, there are a plethora of internet marketing services that you can utilize to accomplish your business goals. While some channels are “free” in terms of cash spent, they require considerable planning and human resources. For example, SEO might not have as much immediate impact as a paid advertising campaign, but in the long term, being ranked on the first page of organic search results is in essence a free ad. Social media and content marketing is also an excellent way to build brand awareness and loyalty. Ultimately, a comprehensive digital marketing program should utilize a variety of platforms, channels, and success metrics. There are many platforms and strategies for marketing a business online. Some of which are pay-to-play advertising channels, and others are free organic platforms available to everyone. PPC or “pay-per-click” is a form of online advertising that is just like it sounds, you only pay for the placement when a user clicks on the ad. It is an excellent option for targeting users while they are actively searching for a solution or product. Image ads are one of the oldest advertising methods on the internet. Online display advertising places images or banners on other websites. It is similar to how traditional print advertisements work, however with online banners, a user can click and directly access your offer. Businesses can utilize social media sites like Facebook, Linkedin, and Twitter in two ways. Organic Social Media – Utilize the platform to engage in the audience and expand your social reach by getting users that follow you to share your information. Paid Social – Businesses can utilize social media advertising to directly market to audiences on the platform. One of the most common ways that people find information on the internet is through search engines. SEO is the process of optimizing your website to be easily found and indexed by search engines for your targeted keywords. One of the most direct ways to connect to past customers or people interested in your services is through email marketing. Regular email newsletters can keep customers engaged and loyal to your brand. Businesses also can utilize email automation software to market to leads with directed “drip” campaigns. Online video platforms like YouTube are a combination of search engines and social media platforms. As such, businesses can use online video to organically engage audiences on the platform, or directly advertise to viewers of other videos. The internet allows you to sell directly to your customers from anywhere in the world. Businesses can open their own store online or open up shop on an existing marketplace like Amazon or Ebay. The big stores like Amazon contain so many products, that businesses often use SEO techniques specific to the store to be found in such a crowded marketplace (Amazon SEO). A lot of people do more reading online than from the printed page nowadays. Businesses can market themselves by creating content for their website or by writing articles for online publications. Obility is a marketing agency that can lead enterprises through the online marketing services jungle. We focus exclusively on B2B enterprises and use a data-driven approach to expand sales funnels and grow your business. Here are some of the internet marketing services we offer that can help B2B businesses market themselves online.
. We not only find what your competitors are doing well, but also gaps in their strategy for you to exploit. Obility isn’t myopic in their digital marketing. We specialize in SEM and SEO, but we are also B2B experts that know how internet marketing fits into broader integrated marketing campaigns. Most of all, we understand how to create an online strategy around B2B sales cycles and focus on what metrics matter most to your enterprise. 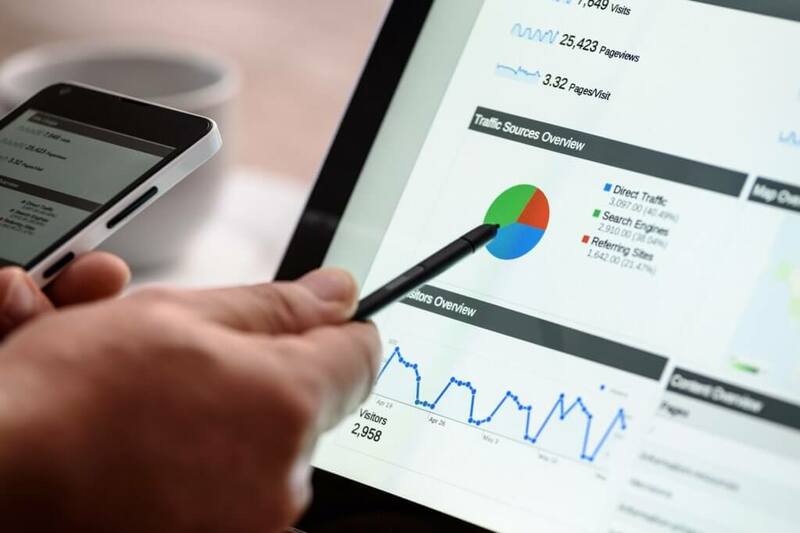 Whether you want net new names for email marketing, marketing qualified leads, closed sales, or leads from specific accounts, Obility knows how to strategize and optimize internet marketing campaigns for results that matter to you. There isn’t a lack of information from online campaigns, in fact there is too much data. Every ad platform, analytics tools, marketing automation tool, and CRM produces a wealth of data for internet marketers. Obility is able to take all those data sources, make them play nice, and combine their data into actionable reports. Obility’s bread and butter has always been PPC management. Managing PPC campaigns can sound deceptively simple, but internal teams, and non-B2B agencies will find it extremely difficult to manage at scale. Obility is a marketing agency that is exceptional at creating campaigns that scale at an enterprise level. However, we go a step further and optimize based on longer sales cycles, reporting on the full sales funnel. The bulk on internet users use organic search results to find the information and solutions that they are looking for. SEO is an essential part of improving the performance of a website. Ranking on the first page of SERPS isn’t always easy and requires up to date knowledge about search engine algorithms. Obility’s SEO Managers are nerds about Google, and they know the best, safest ways to get B2B companies to rank above their competitors. We are also able to offer high quality link building services that will increase domain authority and brand visibility. Social media represents a great opportunity for B2B enterprises. Obility’s social media advertising experts know how to utilize social media marketing to convert qualified B2B leads. Our Facebook and Linkedin managers often know the platforms better than Facebook and Linkedin employees. Conversions are the actions that you want visitors to take on your website. To maximize your website’s potential, you need visibility into where and how people are converting. Conversion rate optimization (CRO) is the process of continually improving the performance of your online campaigns using data and analytics. Obility specializes in diving deep into data to identify and test opportunities for conversion optimization. Once a prospect qualifies themselves by clicking on an ad or an organic search listing, you can use retargeting to market to them differently than other audiences. Obility uses retargeting to market campaigns to the visitors that have already visited your site to keep them moving down the sales funnel.